Manufacturer & Exporter of a wide range of products which include Trolley Wheels such as Cast Iron Wheels, Vulcanized Rubber Wheels, Heavy Duty PU Wheels and Trolley. 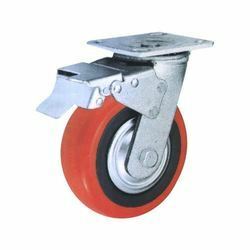 Wheel Size 3", 4", 5", 6", 8"
Heavy Duty PU Wheels offered can be made available by us in different finish specifications and can be made available with different loading capacities from 750kgs to 1000kgs as well as in size options of 3", 4", 5", 6", 8" among others. 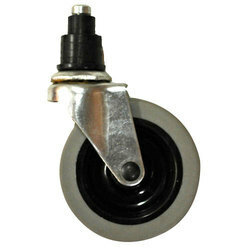 Further, these wheels can be provided with fixed/swivel, brake support in cast iron & PU crowned finish. Some of its features include available in standard and OEM specifications; PP/PU material finish; superior zinc plated finish for lasting usage; heavy duty wheel centers made of polyamide for longer service life. 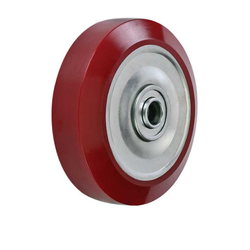 We are a leading manufacturer and supplier of Track Wheels. It is available in various specifications and sizes to meet the exact demands of clients.These Track Wheels are fabricated in accordance with set quality norms from optimum grade raw material and latest technology. We are engaged in offering a wide gamut of Cast Iron Wheel that is manufactured using the high-grade quality material in compliance with industry norms. All these products are constructed with superior grade base material bought by the dealer of the industry. Available with us, are light weight Virgin Nylon Wheels that are offered in different shapes and sizes that vary from 2 to 8 diameter. 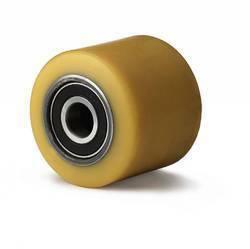 These Nylon Wheels are water resistant and are therefore widely used in wet conditions. Quality has always been the top priority for our organization and that is why we offer Vulcanized Rubber Wheels that are quality tested and have a long service life. Being procured from the reliable vendors, these are manufactured using high-grade material that is well tested and verified on several quality parameters. 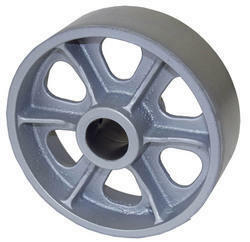 Looking for Trolley Wheels ?